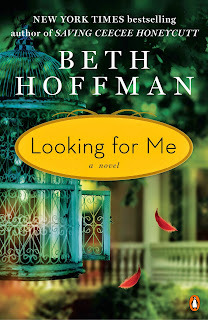 Last year I read and reviewed, Looking for Me by Beth Hoffman and I really enjoyed it! The paperback is out now and I'm thrilled to host a guest post from Beth and a chance for you to win a copy of the book! When I was a little girl, my mother’s friends fascinated me. Especially Evelyn. Whenever we visited Evelyn, I loved to peek into her pink-tiled bathroom where the vanity was populated by gleaming glass jars filled with all sorts of potions and lotions. There was no question that those mysterious concoctions worked because Evelyn always looked good and smelled wonderful. But more importantly, she always had something interesting to say. Her positive energy filled every room she entered, and it was impossible to miss how men and women alike were drawn toward her. Yet she never would have been described as beautiful in the literal sense of the word. Smart, energetic, generous, and quick to laugh, Evelyn exemplified what I now, all these years later, recognize as real beauty—the kind that isn’t limited to the physical and doesn’t diminish with the passage of years. Though she knew aging was inevitable, often laughing at herself for trying the latest miracle cream, she wasn’t about to give up on her joie de vivre or her beauty regime. To her they were inseparable. Back in my mother’s day, Evelyn was the exception to the rule of aging. As the years passed and waistlines grew thicker and hair grew thinner, some women would tisk tisk about Evelyn, poking fun of her youthful enthusiasm as she set sail into the so-called golden years in her shiny new convertible. But Evelyn paid them no mind. She was too busy traveling, having fun, and hunting for the next miracle in a jar. I’m delighted to be living in our current, stereotype-busting era where the words beauty and aging coexist in the same sentence. Susan Sarandon, Amy Tan, Barbra Streisand, Dolly Parton, and countless others have paved the way. And let’s not forget Oprah, Charlotte Moss, and Donna Karan. A big part of beauty is attitude with a hefty sprinkling of chutzpah. Add some genuine kindness to the mix and it’s intoxicating. There is nothing more attractive than a woman who exudes confidence, has embraced her passions and stitched life experiences (the good and the bad) into a tapestry of wisdom. think of Evelyn as I zip down the highway to Nordstrom. I’ve heard that Estée Lauder has a brand new miracle in a jar. 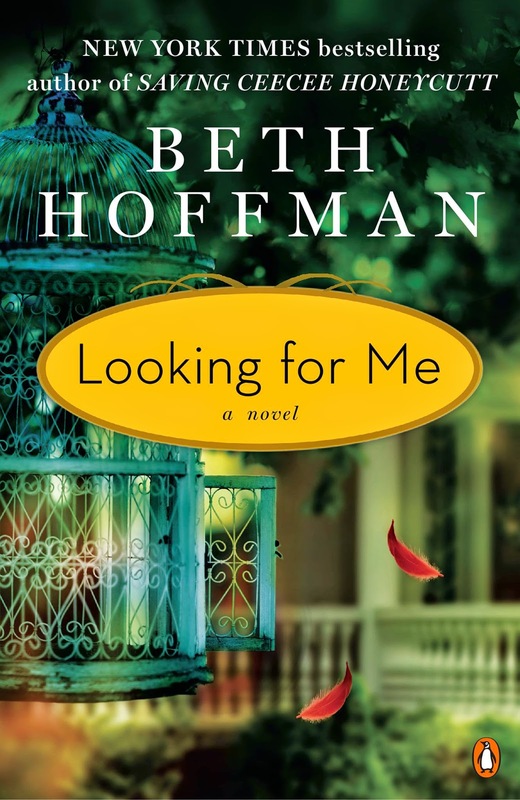 Beth Hoffman is the internationally bestselling author of Looking for Me and Saving CeeCee Honeycutt. Before beginning her writing career, she was president and co-owner of an interior design studio. Beth lives, along with her husband and their four-legged fur-kids, in a historic Queen Anne home in Kentucky. Her interests include the rescue of abandoned and abused animals, nature conservancy, birding, historic preservation, and antiquing. Open to residents of the continental US, one copy of the book! Just fill out the form below by May 30, 2014. Winner will be notified via email.